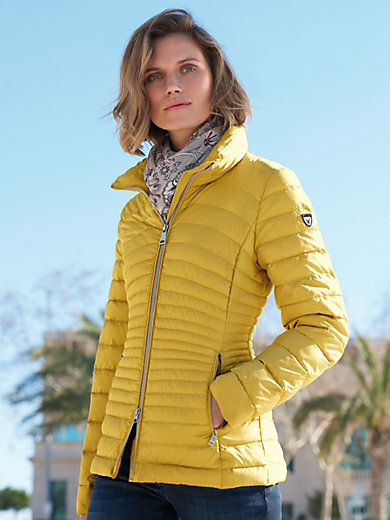 Quilted jacket by FUCHS & SCHMITT in sandwich quilting. Perfect for winter wear. Heat-conserving “Solarball” padding. Figure-flattering cut with dividing seams and narrower quilting in the waist area. High-closing stand-up collar with 2-way zip fastening. 2 zip pockets. One inner pocket. Outer material, padding and lining 100% polyester. Length approx. 25 ins. Machine wash.